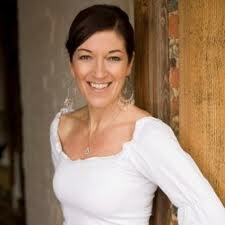 I first met Victoria Hislop back in 2005, when we were part of the same press group at the Blue Palace Hotel in Crete. Just opposite the hotel, in the middle of the bay, was an island. Victoria told us about its history - that it had once been a leper colony and that you could walk about the ruined buildings today and get a sense of what it was like. We duly took a boat out there. It was a great inspiration for a story and Victoria had done just that - written her first novel based on the island's history. LM: This is your first collection of short stories. How did you find the experience of writing them, after writing three novels? VH: It was hugely enjoyable - but in a different way. 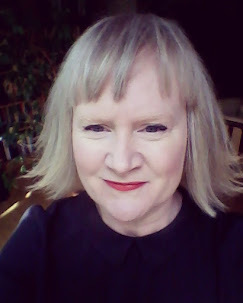 It takes me three years to write a novel, including a period of fairly intensive research, so the timescale of writing a short story is very different. I could produce a first draft in less than a day, and the idea can be a simple one, rather than one that works with plots twists and interweaving of several plots at any one time. So there can be a simplicity about the short story - and you can jump straight into a situation, without necessarily having to prepare the reader - and I think you can also leave the story slightly hanging in the air. I think that's permissible with this form or writing. LM: You return to Greece in this collection, a place that you have written about before - why does it appeal to you in fiction? VH: For me, everything in Greece is totally fascinating - because it is completely different from the country where I have spent my whole life. The way the Greeks live, think, behave is so different from ours - and I find the Greek habits and "mores" endlessly interesting to observe and somehow record. LM: Do you think it is easier to write about a place that you don't inhabit every day? VH: Yes, for me it is. When things are too familiar, I think we cease to even notice them. But that's not the same for every writer - thank goodness. LM: Are you always aware of being an outsider, or is your relationship with Greece closer than that? VH: I am becoming less of an outsider as time goes by - and learning the language is helping that. It means that I can talk to elderly people who don't speak English, and get a sense of how things were in the past. Even the study of a language and how that language works gives an insight into a country I think. And I do go there almost every month, so I am beginning to feel very at home there - and some Greeks tell me I am more Greek even than them - I definitely love Greece more than many Greeks. LM: Your career was as a journalist, before the success of your novels, and I've always thought that The Island showed a real journalist's eye for a wonderful story. Have you ever been tempted by any of the things that have inspired you to write a book of non-fiction? VH: I actually don't think I am academic enough to write a work of non-fiction. You have to be absolutely rigorous with details and footnotes, and I think I would find that very frustrating (possibly dull). I love being able to use my imagination and to wonder what a situation "would have felt like" - which is the opposite way from how a non-fiction writer has to approach the subject. LM: The current situation in Greece, for instance - you know so much of its history, would you be tempted to write a historical book, for instance? VH: I would rather make a documentary I think, than add to the history books. I am not sure that I could add to scholarship, but I think I can tell the story perhaps in a different way - my motivation being that people might understand Greece better and see what factors have led it towards the current crisis. LM: What is it about fiction that you have preferred so far? VH: I think it's the opportunity to use my imagination - there are no restrictions on where that can take you. I would describe writing non-fiction as being like walking, and writing fiction as being like flying. LM: This might seem an odd question to ask a best-selling writer, but are you worried about the current state of publishing? VH: I am worried because publishers and bookshops are worried. There are some huge changes going on in the industry - upheavals would describe them better. I am not sure that anyone ever imagined the speed with which digital publishing would grow. Change is not always a bad thing though - but there is a definite need to protect some of the principles - like copyright, so that there are writers who can still afford to make a living out of writing! If everything was available for free, this would not be the case. LM: The concern about sales figures, e-books, and so on, can bring pressure on any writer. At this point in your career, how would you feel about taking a risk with a project, or do you feel that about every book anyway, is there still a 'fear factor' you might have had when you first started out? VH: I am not sure that the "fear factor" doesn't get bigger. I try to put it to one side though and to make sure that any idea I am writing about becomes so important to me that I am not really thinking about the reader or worrying whether or not they will like what I am writing. If I am committed and interested myself, this becomes an end in itself. LM: And what's the nicest aspect to being a bestseller - that you're reaching lots of people, that you can have any influence, anything like that? VH: Right now, because I have been writing about a country (Greece) that I care about, and a country that is suffering so many difficulties, it has been very gratifying to perhaps fill in the gaps in people's knowledge about it - but more importantly to tell a story that might make my readers sympathise a little more.